The pharmaceutical sector offers some of the most exciting financial and business opportunities today. This essential and practical guide gives you all the tools you need to assess such opportunities. The second edition of the respected Pharmaceutical Equities, it has been thoroughly revised and updated to reflect the changes, especially in life sciences, since the first edition. The book is international in outlook, and explains the rules of the game not just for wise investing, but also for understanding how this uniquely complex and highly regulated business works. The book begins with a look at the global pharmaceutical industry, from its history to the structure of present day companies. The second part explores how to analyse and value pharmaceutical and biotechnology companies. The final part deals with trading itself and looks at share price movement and the main equity markets throughout the world. 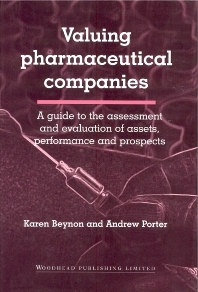 Both practical and comprehensive, this handbook will be essential reading for investors, analysers and corporate planners - and is the ONLY book which will show you how to actually value pharmaceutical companies. Part 1 The global pharmaceutical industry: Pharmaceuticals and the treatment of disease; Structure and internationalisation of the industry; Regional and national developments; Major changes in the pharmaceutical industry. Part 2 Analysis and evaluation of pharmaceutical companies: Valuing major quoted pharmaceutical companies; Valuing biotechnology companies and new venture financing; The assessment of research and development; The assessment of product sales potential. Part 3 Pharmaceutical equity trading: Key issues influencing pharmaceutical share price movement; Investment and trading strategy; Dealing in major equity markets.